Following two challenging years of crude market volatility, 2018 has marked something of a turning point for the UAE economy. With oil prices now rebounding, the nation’s financial deficit is projected to reverse by 2020, with both the federal government and individual emirates adopting a more expansionary fiscal stance. While the pick-up in crude oil prices certainly bodes well for the UAE’s economic outlook, there are important lessons to be learned from the market’s two-year slump. Indeed, the turbulence of the past two years has explicitly exposed the Gulf Cooperation Council (GCC) members’ vulnerability to oil price volatility, and has put more focus on the diversification drive across the Arabian Gulf. Compared with some of its GCC neighbours, however, the UAE is less dependent on crude oil than in previous years, and already boasts an impressively diverse economy. With a booming tourism industry and flourishing construction, industrial and pharmaceuticals sectors, the nation’s high-performing non-oil markets are set to be the main drivers of growth in 2018 and beyond. What’s more, as the country prepares to host the highly anticipated Expo 2020, infrastructure spending is set to ramp up in the host city of Dubai, creating a wave of new jobs and economic opportunities in this fast-growing global emirate. As the UAE presses ahead with its economic diversification plans, one sector in particular continues to drive growth: banking. Boasting high profitability and showing remarkable stability in testing economic circumstances, the nation’s banking industry has emerged as one of the UAE’s most prominent non-oil sectors. 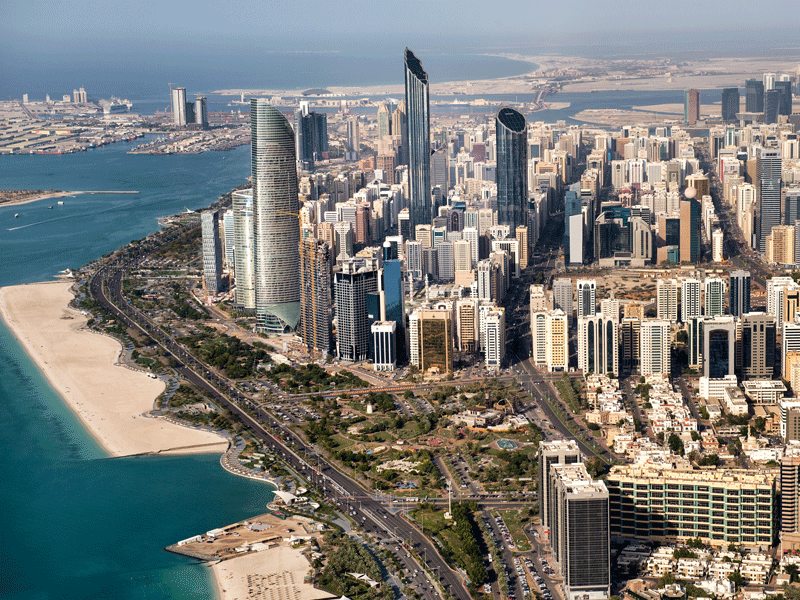 Home to one of the region’s largest banking sectors, the UAE is fast becoming a global financial hub, attracting stakeholders, partners and clients from the GCC and beyond. Leading the way for financial innovation and stability is Union National Bank (UNB), one of the UAE’s top financial institutions. With a consistently strong financial performance, impressive credit ratings and a number of prestigious accolades, UNB is going from strength to strength. While we are certainly proud of our achievements so far, we also understand that the key to sustained success is innovation and reinvention, and we are therefore committed to developing new strategies as we look to grow our business for the future. At UNB, we are committed to supporting the country’s economic, social and environmental development, in addition to creating value for our customers and stakeholders. We are the bank that cares, and it is this unique, nurturing approach that truly sets UNB apart from its competitors. Our customers are at the heart of everything we do, and we are committed to enhancing their banking experience. In order to ensure our services suit our clients, we encourage customers to express their opinions through multiple ‘customer voice’ channels. We use the feedback that we receive from our clients to improve, innovate and expand our range of products and services, as well as to ensure excellent customer service in all aspects of our business. With this customer-focused approach in mind, UNB has recently launched a customer service award, which aims to further enhance the service culture and excellence mindset across our network of UNB branches. Highlighting the importance of customer satisfaction, this new award supports our mission to become the bank of choice for all stakeholders in the UAE. In addition to enhancing the customer experience, we are also dedicated to creating a more sustainable community. Our commitment to corporate social responsibility (CSR) matches our business tagline – ‘the bank that cares’ – and we understand the importance of effecting positive change in the wider community. Our CSR initiatives focus on four key areas: education, community, climate change and the environment, and the sustainable development of local talent. As we look to create a more sustainable future for the UAE, UNB has partnered with respected organisations such as the Emirates Wildlife Society in association with the World Wildlife Fund, and the Ministry of Environment and Water, signalling our commitment to driving sustainability both internally at UNB and externally in our community. What’s more, UNB donated over $8m to the Sandooq Al Watan community initiative in 2017, as part of our continued effort to support the development of local entrepreneurs in preparation for the post-oil-dependancy era. We are conscious of the influence that we have in wider society, and always strive to create a positive impact in all aspects of our business. As businesses grow and bring more members of staff into their teams, it is vital that they recognise the importance of prioritising employee welfare and wellbeing. In the financial sector, this is no different, and many banks across the globe are taking measures to ensure that their employees feel happy and motivated at work. Indeed, this is particularly crucial in the post-crisis era, as increased scrutiny and pressures may easily have an adverse effect on staff wellbeing and engagement. The link between employee wellbeing and business effectiveness has long been established, with an improvement in workplace welfare resulting in improved performance and engagement. As such, improving staff morale is as beneficial for the employer as it is for the employee; enhanced wellbeing is known to positively impact productivity, growth, bottom-line performance and even a company’s reputation within the industry. At UNB, employee wellbeing and engagement form the core of our business philosophy. In an effort to boost employee happiness and drive success among our staff members, we have launched the innovative and award-winning Tahfeez HR transformation strategy. This focuses on the building of existing and future capabilities of our people and the retention of talent, paying particular attention to quality of life, work-life balance, physical and mental health, and social, financial and spiritual wellbeing. The Steps of Giving initiative and the New Me healthy lifestyle campaign have also been well received within the bank, with staff members responding positively to our engagement efforts. Alongside these ongoing campaigns, UNB aims to boost employee motivation through a number of unique and exciting events. In April 2018, for instance, the staff fishing club organised a pilot fishing trip, which proved extremely popular. As a result of the overwhelmingly positive response to this event, similar trips and excursions are now being planned for later in the year and in 2019. Following the success of these wellbeing initiatives, UNB is keen to maintain its upward momentum and continue to make progress in this crucial area. In November 2018, we will be launching a new wellbeing campaign – ‘the fitness challenge’ – which will be open to all UNB staff. Taking advantage of the cooler temperatures , we will be encouraging all of our employees to participate in a range of outdoor activities, like running and cycling, as well as organising a variety of team sporting events. Despite our recent successes in areas such as employee wellbeing, shareholder satisfaction and CSR, UNB is aware that the future holds many challenges for the UAE’s established financial institutions. As the nation looks to further diversify its economy and prioritise non-oil sectors, technology is set to revolutionise the way we do business in the UAE. The country’s economy is due to undergo a significant technological transformation over the next five to 10 years, with a rapid uptake of artificial intelligence (AI) and robotics across the nation’s flourishing domestic sectors. These new technologies will undoubtedly begin to change the face of the UAE’s banking sector, and the nation’s financial institutions must keep up with these technological transformations if they wish to remain relevant in the digital age. At UNB, we understand that technological innovation is the key to our future success, and we have therefore made digitalisation a key component of our mid-to-long-term strategy. In order to adapt to our customers’ rapidly evolving tastes and demands for innovative digital products, we are now focusing on expanding our AI technology and robotics capabilities – from voice biometrics to the state-of-the-art online banking platform. With this digitalisation drive, we hope to enhance the customer experience through a range of practical and original digital solutions. Furthermore, as technology continues to reshape banking across the GCC, our digitalisation initiative is set to aid our vision of expanding our international footprint in the region, attracting tech-savvy clients from around the Arabian Gulf. From technological innovation to ground-breaking CSR initiatives, UNB is fully committed to creating a brighter future for the UAE. As well as meeting the needs of our customers, staff and stakeholders, we are dedicated to effecting positive change in the communities we serve. Thanks to this unique, caring vision, UNB has established itself as one of the leading banks in the UAE’s rapidly evolving and dynamic financial market.